Norfolk Coast Holiday Cottages01485 532896work01485 535007fax Self-cateringNorfolk Coast Holiday Cottages offer holiday properties of character which have a particular welcoming feel to them. 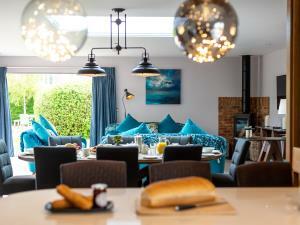 Situated in Hunstanton and Old Hunstanton, the 7 properties offer versatile accommodation and are close to the beach, coastal footpath, Hunstanton golf course and local attractions. This is an ideal all year round location. Norfolk Coast Holiday Cottages offer holiday properties of character which have a particular welcoming feel to them. Situated in Hunstanton and Old Hunstanton, the 7 properties offer versatile accommodation and are close to the beach, coastal footpath, Hunstanton golf course and local attractions. This is an ideal all year round location. The properties are spacious with a touch of luxury for a perfect holiday. Visit our website for best rates. Cycle storage available. Hot Tub available at some properties at an additional charge Children welcome from any age.